Ask any random person on the street whether fruit is healthy… I’ll bet that 9 out of a 10 will say that it is. Pretty much everyone “knows” that fruit is a health food… it’s right up there with vegetables, right? However, in certain circles, many people think that fruit is unhealthy. There are even people who go to extremes and say that fruit is downright poisonous. These people are usually low-carbers, which do not eat fruit for a very specific reason. The topic of fruit and low-carb diets seems to come up all the time, so I thought I’d do the subject proper justice and write an article about it. The primary goal of low-carb diets is carb restriction (duh). This involves limiting the foods that are highest in carbohydrates, including the usual suspects like candy, sugary soft drinks, root vegetables like potatoes, as well as grain products like pasta and bread. But fruit, despite the health halo, also tend to be fairly rich in carbohydrates, primarily the simple sugars glucose and fructose. Fruits are much higher in carbohydrates than low-carb veggies, but low in carbs compared to foods like bread or pasta. It’s important to keep in mind that not all low-carb diets are the same. There is no clear definition of exactly what constitutes a low-carb diet. Whether any one person can or should include fruit in their diet depends on a lot of things. This includes current goals, activity levels, current metabolic health, as well as personal preference. A person who eats 100-150 grams of carbs per day can easily fit in several pieces of fruit per day without going over their limit. However, someone who is on a very low-carb ketogenic diet with under 50 grams per day doesn’t really have much room. Instead of spending all the carb budget on 1 or 2 pieces of fruit, it would be better spent eating plenty of low-carb vegetables… which are much more nutritious, calorie for calorie. There has been a lot of talk about the harmful effects of sugar… mainly because it contains so muchfructose. There is now evidence that when consumed in excess, fructose can lead to all sorts of problems like obesity, type 2 diabetes and the metabolic syndrome (1). However, it is very important to realize that fructose is only harmful in a certain context. For people who are inactive and eat a high-carb Western diet, consuming a lot of fructose can cause harm. But people who are healthy, lean and active can afford to eat some fructose. Instead of being turned into fat, it will go towards replenishing glycogen stores in the liver. If you’re already eating a healthy, real food based diet with plenty of protein and fat, then small amounts of fructose (from fruit) won’t cause harm. Fruits also happen to contain fiber, lots of water and significant chewing resistance. It is almost impossible to overeat fructose, simply by eating fruit. The harmful effects of fructose apply to fructose from added sugars, not from real foods like fruits. Period. However, fruit juice is a different story. There’s no fiber in it, no chewing resistance and it contains pretty much the same amount of sugar as Coca Cola. Fruit is okay, fruit juice is not. The best way to get into nutritional ketosis and experience the full metabolic benefits of low-carb diets is to reduce carbs, usually below 50 grams per day. This includes fruit. There are many reasons people adopt such a diet… some do it for health reasons such as obesity, diabetes or epilepsy. Others simply feel best eating that way. There is no reason to discourage these people from avoiding fruit. There is no nutrient in there that you can’t get from vegetables. But even though some low-carbers may do best limiting fruit, the same does NOT apply to the other 90 something percent of the population. 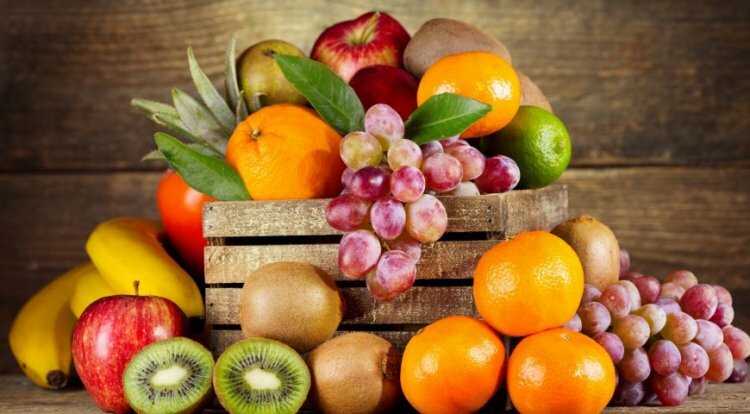 For others, fruits are healthy, unprocessed foods with fiber, vitamins and minerals. Fruits are certainly MUCH healthier options than the processed crap that most people are putting in their bodies every day. People who are on a low-carb / ketogenic diet may want to avoid fruit, because it can prevent ketosis. For everyone else, fruits are healthy foods and can definitely be parts of a healthy, real food based diet.